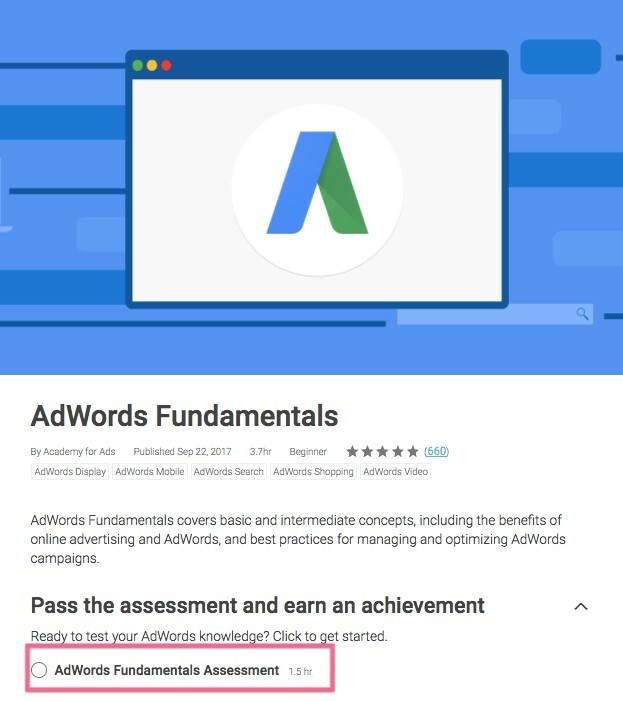 When you clear the two certification exams, you will receive a personalized certificate from Google verifying your online advertising (or PPC) skills. Let us now see how you can prepare for the Google AdWords exam and get the certification. 2) Know online advertising concepts and experience of managing different types of AdWords campaigns. Study Academy of Ads coursework: The Academy of Ads study has a course with bite-sized lessons that explain all the test topics in detail. A thorough study of this course will help you crack the exam easily. In addition to Google’s training material, you should also consider studying other courses that can help you get Google AdWords certified. At EduPristine, the full digital marketing program with extensive modules on Google AdWords can prepare you for passing the exam in addition to teaching you all about digital marketing practices. Before appearing for the fundamental test, appear for mock tests. These will give you an idea about the pattern of the exam and the type of questions. 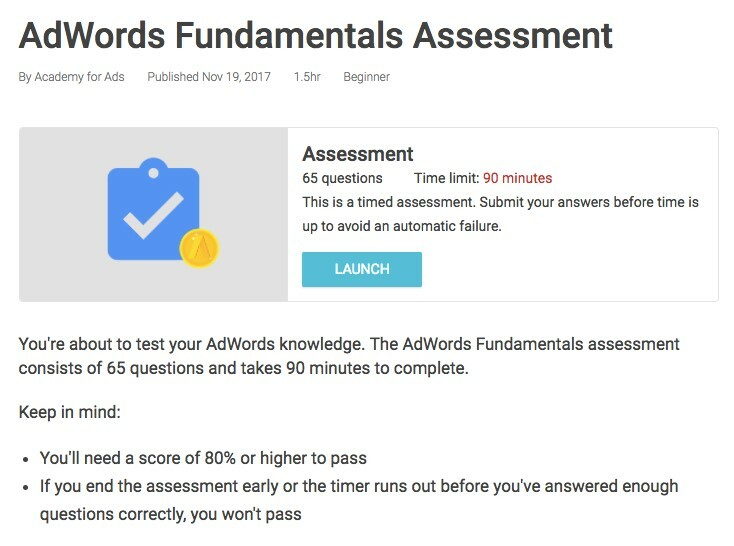 Just Google “Google AdWords mockup exams and practice tests” and you’ll find a bunch of websites that offer practice tests. Once you are ready, follow the steps below and win your certification. 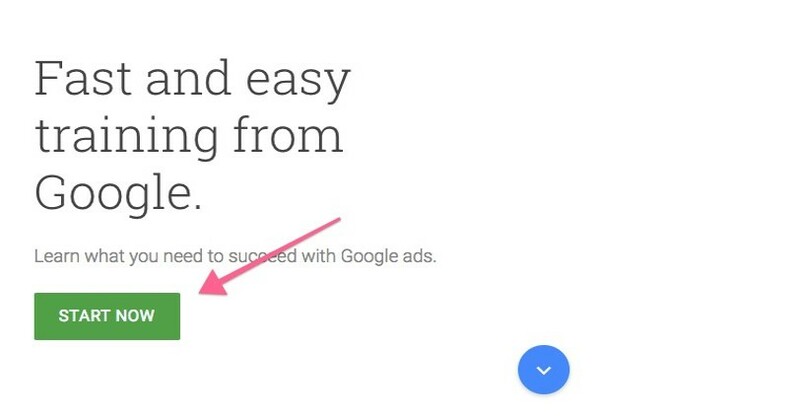 You need a Gmail account to access the Academy of Ads and appear for the Google AdWords Certification test. So, if you don’t have a Gmail account, create one here. After signing up for a Gmail account, visit the Academy for Ads page and log in using your Gmail login details. After you log in, you should see a library of courses. You can also click on “Profile” and then on “My Profile” in the upper right corner. Here, you can enter all your information. Click on the “LAUNCH” button to start your test. Once you clear the fundamentals test, repeat steps 2 and 3 for one additional test. If you want to specialize in video advertising, take the “Video Advertising” test. Likewise, if you want to specialize in eCommerce shopping, take the “eCommerce shopping” test. 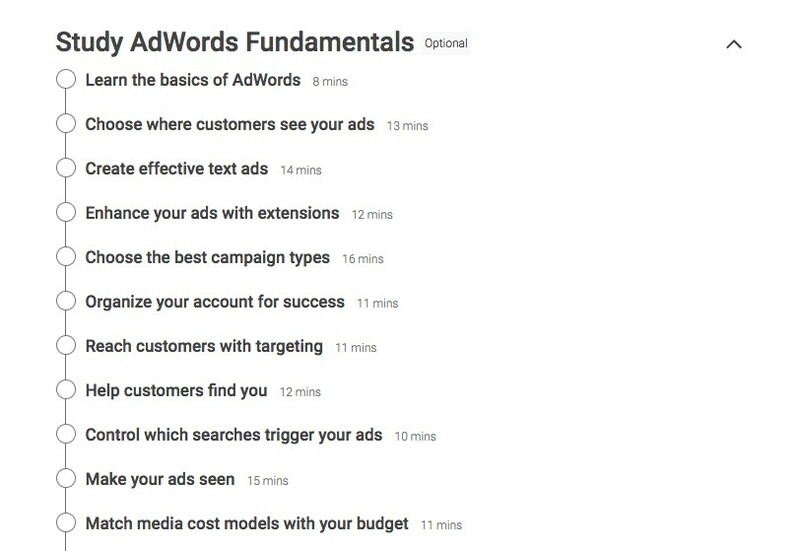 As soon as you clear the two exams, you’ll become an official AdWords Certified Professional. Now, because the passing percentage is quite high (80%), don’t feel bad if you can’t clear it in one go. You can retake the test every day. Just prep up some more and give it another try. Once you’ve cleared the exams, promote your certification on your resume and LinkedIn profile. Your certification will give you the edge over other candidates with unverified skills, and your potential employers and clients will be sure of your abilities to handle their PPC campaigns and earn business for them. Note that your certification is valid for just one year. You need to clear the fundamental as well as the optional test again each year, so your certification doesn’t expire.